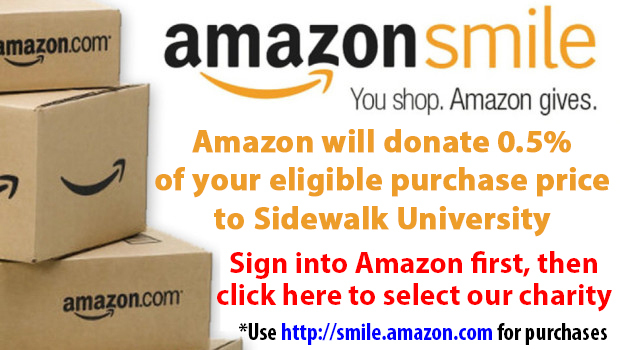 An effective affiliate must support the mission of Sidewalk University, by conducting its business consistent with the requirements, policies, and standards of Sidewalk University. Standard 1: The affiliate board of directors ensures that the affiliate's policies, standards, practices, and procedures are in compliance with the policies and standards of the Sidewalk University as stated in the Sidewalk University’s strategic Plan and Bylaws. Standard 2: The affiliate acknowledges and carries out its responsibilities with respect to its interdependent relationship with the Sidewalk University. Standard 3: The Sidewalk University Board will do an annual assessment of each affiliate. Standard 4: The affiliate fulfills its corporate obligations as required by local, state, and federal governments and Sidewalk University. An effective affiliate has sufficient resources and assumes responsibility for managing them, in order to ensure the continuation and expansion of Sidewalk University. Standard 1: The affiliate board measures and promotes increasing racial/ ethnic presence and participation at all policy and operational levels. Standard 3: The affiliate board ensures that they carry out their responsibility to raise funds to support the affiliate's work, using methods in keeping with the principles, policies, standards, and goals of Sidewalk University. Standard 4: The affiliate board carries out its stewardship responsibilities with respect to the affiliate's fiscal assets in a responsible manner. Standard 5: The affiliate board has made financial provisions to provide for the perpetuation of Sidewalk University within its service area. Standard 6: The affiliate utilizes a planning system to maximize the effective and responsible development and use of resources. An effective affiliate ensures that the Sidewalk University programs are delivered to the diverse population segments in its community. Standard 1: Based on a thorough understanding of the populations within its community, the affiliate attracts and retains donors and serves constituents from all areas of its community. Standard 2: The affiliate develops structures and systems for clients to participate in Sidewalk University programs, that meet the needs of its constituents. Standard 3: Requirements that ensure the protection of the health, safety, and security of clients is evident in all programs. Standard 4: Through a volunteer/auxiliary development system, the affiliate that recruits, trains, provides support for, and addresses the needs of volunteers who work with clients. Standard 5: The affiliate has a communications, community, and marketing plan to keep all segments of the population informed about the opportunities and benefits that Sidewalk University provides to the community. Standard 6: Affiliate programs are consistent with the mission and strategic plan of Sidewalk University, by providing educational services that will create leaders in underserved community.